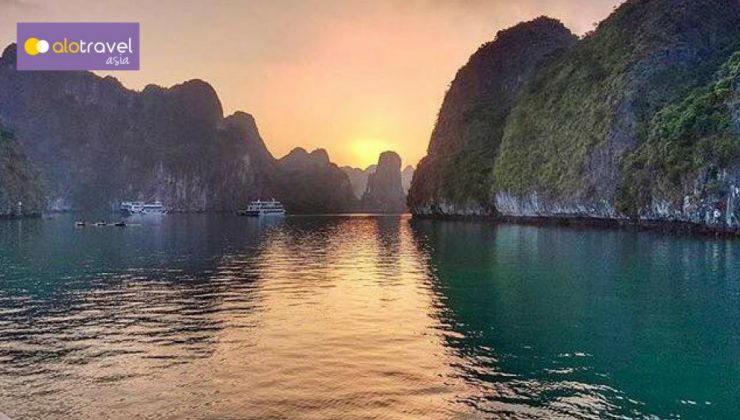 The North of Vietnam has so many things to offer from more than 1,000 year-old Hanoi to scenic Sapa, not to mention the must-not-miss Halong Bay World Heritage. 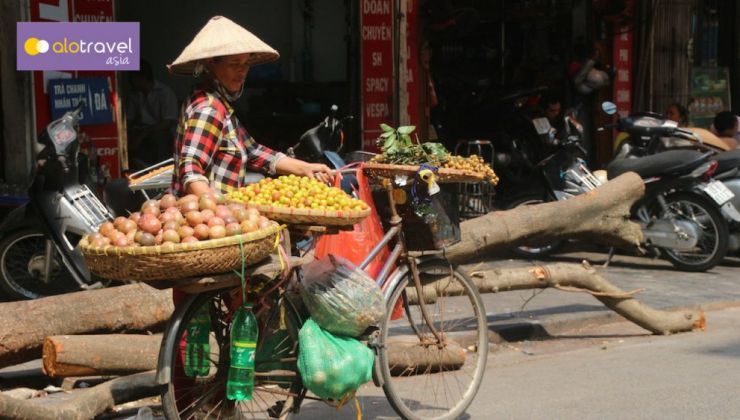 Well programmed in more than a week, you will have chance to visit historical city icons of Hanoi, meet up with colorful mountainous hill tribes, explore local street food and try your hands on learning to cook Vietnamese traditional dishes. 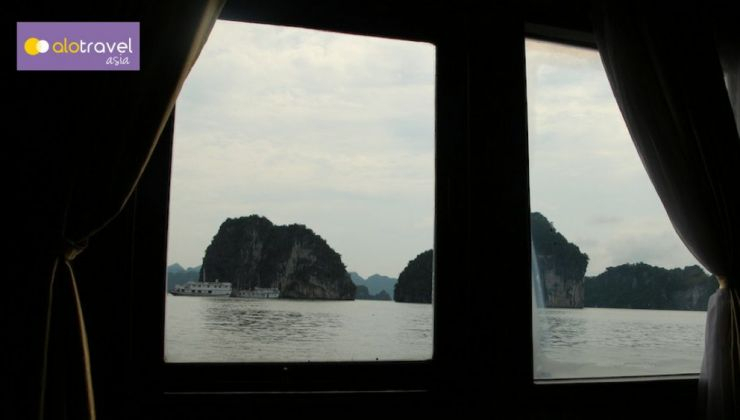 Trip ends with relaxing time on board an amazing Halong cruise. Upon landing in at the airport, greeted by our guide and driver; transfer to your hotel in the heart of the city. Enjoy the Water Puppet show, dinner. Overnight in Hanoi. Breakfast at your hotel. 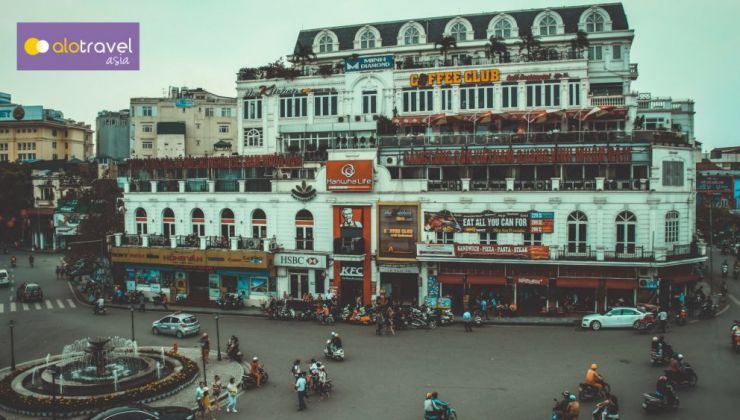 By 8.30 am, start our full day tour to Hanoi’s highlights sites including the Ho Chi Minh Complex: Ho Chi Minh Museum and his stilt house, Presidential Palace and the One Pillar Pagoda (Note: Ho Chi Minh Mausoleum closes on every Monday and Friday. Remember to wear clothes that’s over you knee and covers your shoulder when visiting Ho Chi Minh complex or the pagoda). You also have chance to visit historic University – The Temple of Literature, that dates back to the 11th century. In the afternoon, continue to the Ethnology Museum where you can learn about all ethnic groups in Vietnam. Head back to Hoan Kiem lake for a leisure walk around of which Ngoc Son Temple and The Huc Bridge will be the must not miss. Start for a food on foot trip, walking around 4km in the Old quarter “36 streets” to visit some famous and specialized- food families or stalls/ local restaurants, shops where they run their business every day, certainly you will watch and taste some particular dishes (We can customize vegetarian food or special requirement). 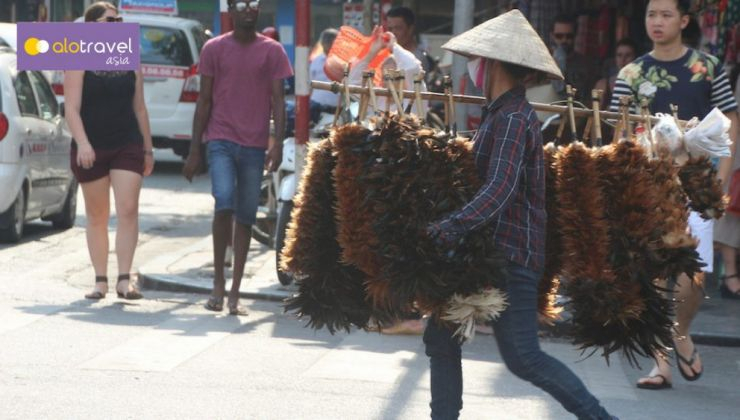 It is very difficult to find some local food on your own in hidden alleys or sidewalks. 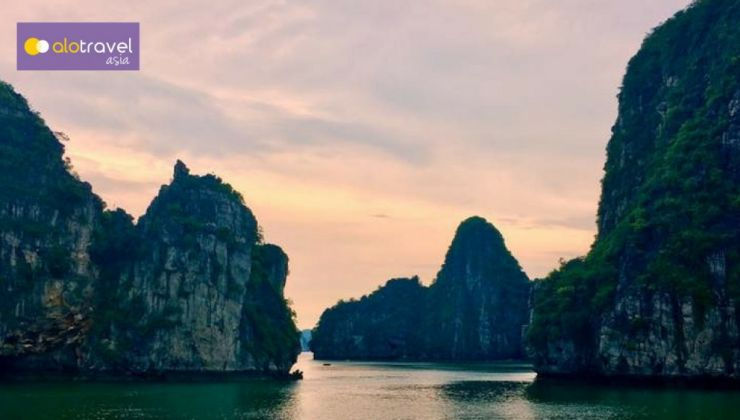 This tour is combined by street food stalls and lovely mini restaurants (not luxury restaurants), certainly they are experienced and appreciated by our local experts every day, you”ll keep on ordering food as long as you keep eating, suggestion that you should taste a little bit each place, then foot & food. Back to hotel after tour. Overnight in Hanoi. 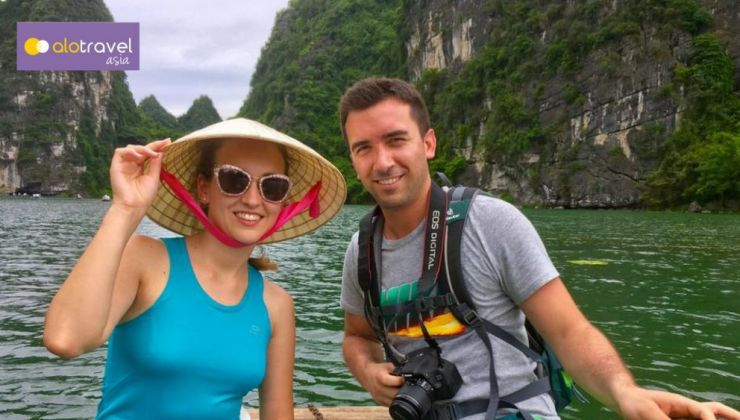 By 8.00 am, picked up at your hotel in Hanoi, depart for Ninh Binh province (120km) with private guide and driver. Today we visit Trang An Grottoes and Bai Dinh Pagoda. After 2.5 hours, arrive in Buddha Prayer place in Bai Dinh Pagoda, the biggest pagoda in Vietnam with 500 La Han statues, biggest bronze Buddha statue in Vietnam with 10 meters in height, 100 tons in weight. Have lunch in local restaurant with some local special dishes. 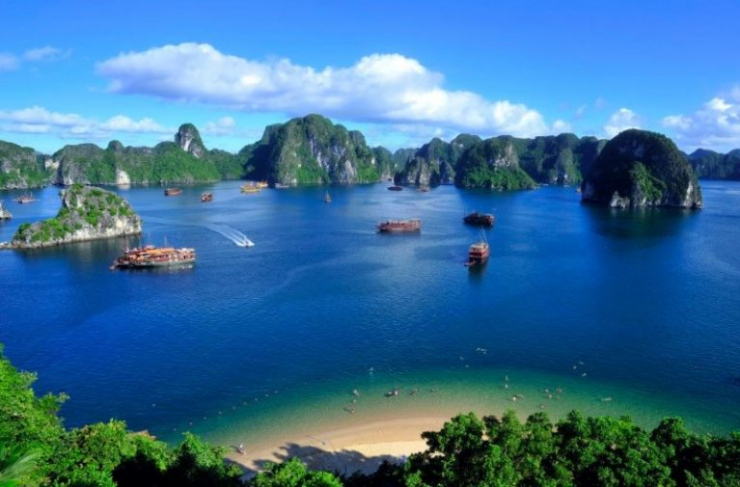 After lunch, visit Trang An attraction – the new UNESCO World Heritage. You will get on a rowing boat while enjoying the scenery of cave complex, in mystery and wildness. Overnight in Ninh Binh. Breakfast at your hotel. This morning, leisure explore the city. After tour, guide and driver bring you to Hanoi Railway Station for an overnight train to Lao Cai. Overnight on train. 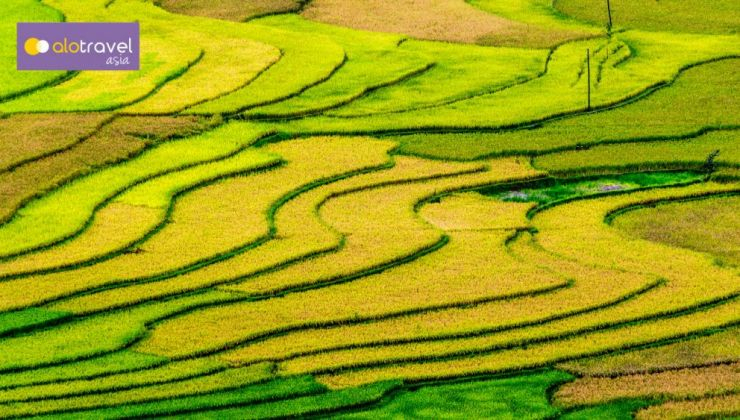 Early arrive in Lao Cai station; you will get tour private transfer to Sapa, which is about 30km away from Station. Nice drive with passes and rice terraces. Upon arrival, store your luggage and have breakfast at hotel. After breakfast, leave Sapa market town. This morning, visit Lao Chai & Ta Van. 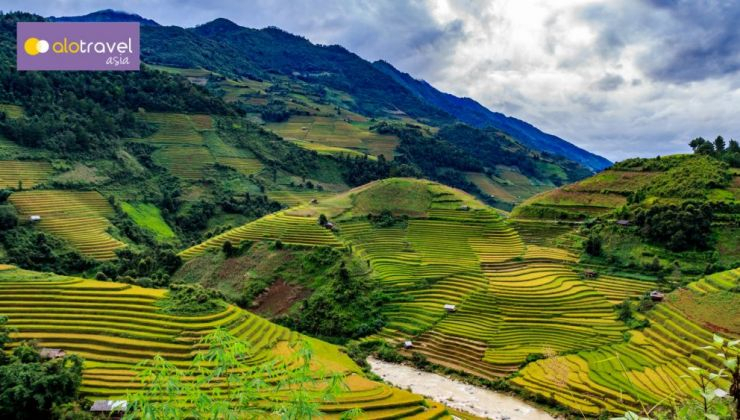 You will commence your short journey by driving south toward Muong Hoa valley. 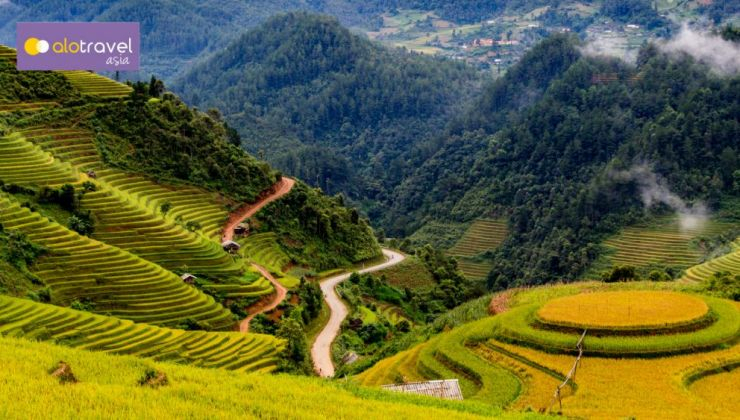 You will then start your walk by descending into the valley, which is the largest rice paddy terraced among Sapa area. The guide can provide you interesting information about rice. If you visit the valley sometime in between May and October, you will be able to observe and experience how the local do planting and harvesting, one of the most important activities in the daily life. The walk takes you from Lao Chai village of Black Hmong minority to Ta Van village of Giay minority including a visit to the local Catholic Church. After visiting Ta Van the car will return you to Sapa. Check in hotel. Free time in the afternoon to explore Sapa town. Overnight in Sapa. Breakfast at your hotel. This morning, around 9.00 am, depart for Taphin village. 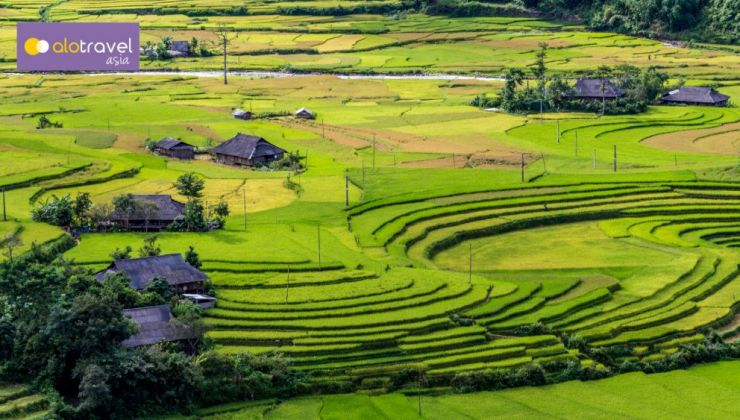 Your journey will be mostly driving downhill toward Lao Cai, before taking a left turn into a small paved road leading to Taphin village. 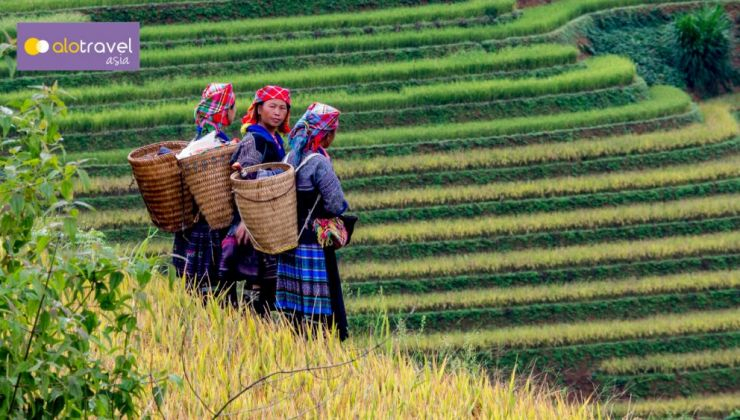 Here you can experience the unmixed cultural life of Black Hmong and Red Dao minorities, 2 largest ethnic groups in the area. They live happily together while maintaining their own tradition from generation to generation. 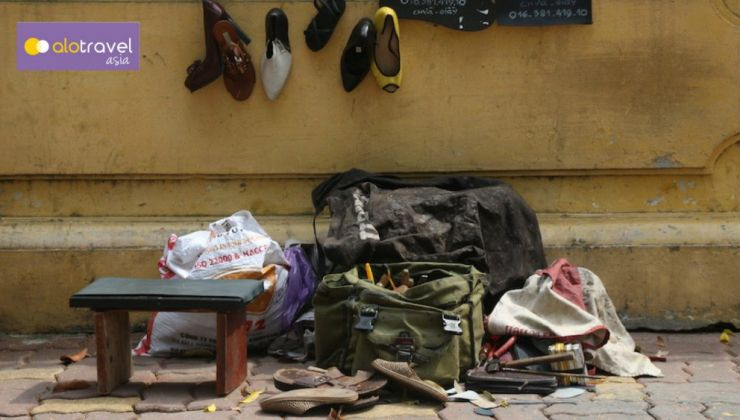 You can recognise them by dressing while they are both very famous of handicraft. You will enjoy walking among local people. The trip also offers you the opportunity to visit the local houses. You will return Sapa by car. Leisure till 15.00 pm, guide and driver bring group to 105 Thach Son, Sapa to catch Good Morning Sapa bus; get-on-bus time is 15.30 PM. 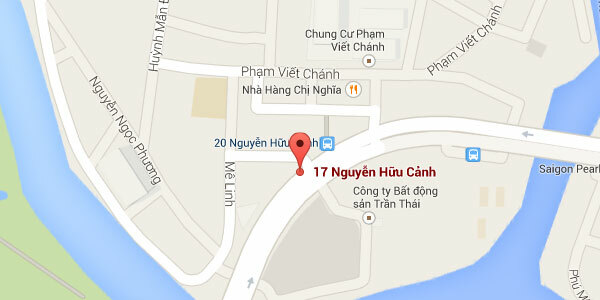 Tonight, you can expect to arrive Hanoi around 21.00 pm. Bring you back to your hotel in the Old Quarter. Tour ends at your hotel. After breakfast, driver comes to pick you up for 3.5 hours ride through the countryside of the Red River Delta to Ha Long City. Water buffaloes, paddy fields and daily Vietnamese farmer life are on both sides of the way. Arrive Halong by mid-day. Embark your cruise, enjoy a lovely welcome drink and short introduction about the cruise, program and the crews. 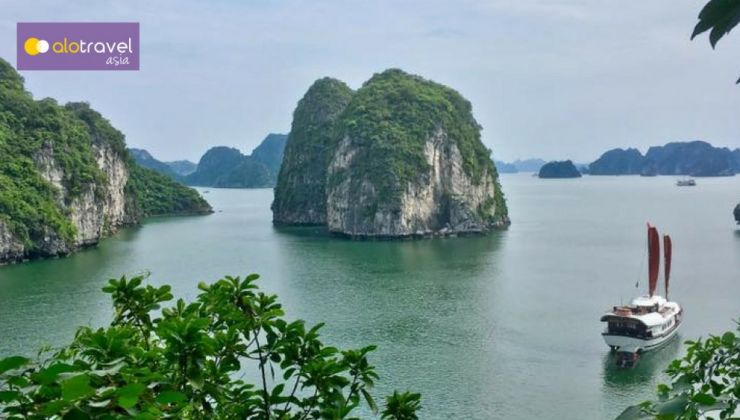 Enjoy lunch while cruising to magnificent parts of Halong bay, admire the fascinating formations on the way. This afternoon, you will have chance to visit a fishing village, do some kayaking, swimming or cave exploring. Back to boat for a drink on top deck while enjoying beautiful sunset over the bay. Tonight, a delicious dinner is served. Evening time is free at leisure, you can join squid fishing with the crews, playing board games or leisurely relax. Overnight on cruise. This morning, early birds may want to join a Tai Chi class on the sun deck. Take in fresh air and morning view of the bay’s landscape with a cup of tea or coffee. We keep cruising to other parts of the bay before enjoy lunch while cruising back to the dock. Farewell to the lovely crews and disembark the cruise by mid-day. 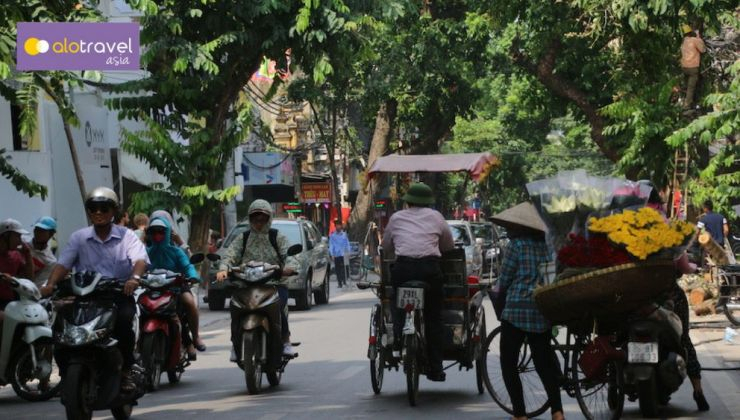 Driver will bring you back to Hanoi. Arrive at your hotel in late afternoon and rest at leisure. Overnight in Hanoi. Breakfast at your hotel. Free time this morning until check out time. Based on your departure flight, our driver comes to bring you to airport. See you again in Vietnam! Feel free to ask us any questions via the form below.